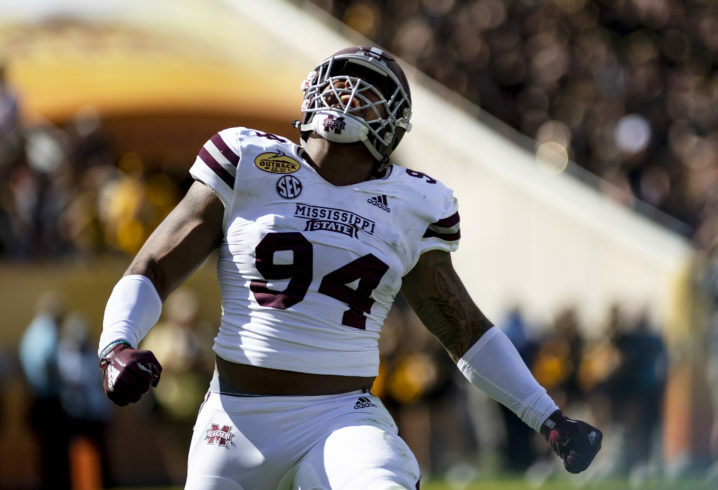 Jeffery Simmons is still having to pay a price for the bad mistake he made leading up to his college career in Starkville. 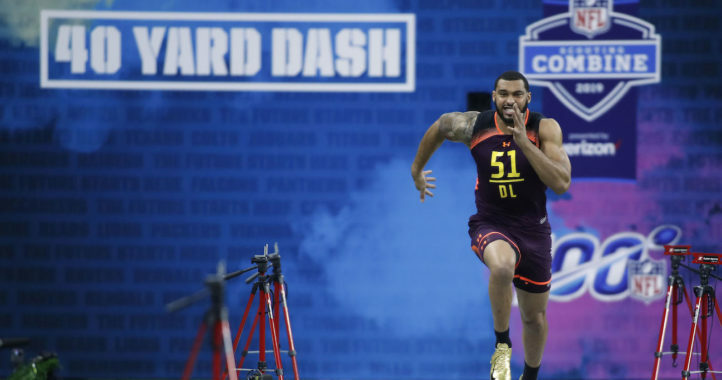 When many hear the name Jeffery Simmons, they can’t help but go back to the incident involving the former five-star defensive lineman from Noxubee County High School in Macon, Miss. If you were unaware, Simmons punched a woman several times, including once she was on the ground. He was only suspended by Mississippi State for the first half of his college debut. It was an ugly incident that had many calling for him to never be allowed to play at Mississippi State. Ultimately, Dan Mullen and the MSU administration felt differently and allowed Simmons to enroll in school and play for the Bulldogs. That decision, while highly controversial at the time, proved to be the right call as Simmons has proven to be a model representative for the school and one of the best players in the nation by the time his junior season came to a close. However, Simmons previous actions will continue to haunt him in some regard as the NFL will not allow him to attend the upcoming NFL Combine, according to Tom Pelissero of the NFL Network. In recent years, the NFL has implemented a policy banning players with past issues involving violence from attending the event. 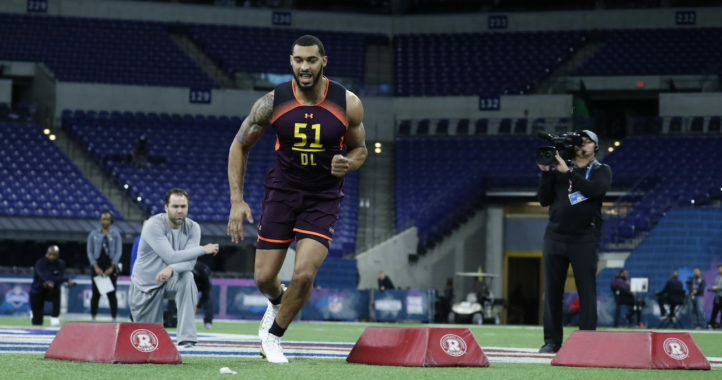 While this is an unusual situation, not being in attendance for the combine isn’t likely to negatively impact Simmons’ stock in the eyes of NFL teams. He will still have the opportunity to show what he can do at Mississippi State’s upcoming Pro Day event this spring. Look for a high number, if not all, of NFL teams to be in attendance when MSU’s Pro Day arrives due to the fact Simmons and several of his teammates project as elite prospects in the 2019 NFL Draft. Hey NFL, here’s a little secret. Simmons is going to be rich and have a long NFL career with or without the combine. This is pathetic on the part of the NFL. His issue was years ago and he has been nothing but a model citizen and student since. We are all supposed to overlook the nfl for their obvious screwups and just get over it, but they feel justified in pulling this nonsense. Not cool. Actually, even though I’m a Simmons supporter and state fan, I understand that decisions have consequences. He was young and made a poor decision. He’s been a model citizen and student athlete. I just wish the nfl was more consistent in its policies. It’s hard to be viewed as credible when you have selective rule enforcement. The issue though is that the it appears that the NFL only enforces their ruling when there is video or picture evidence of the misconduct. Anything up until that point they just ignore it. It is a hit or miss system that appears to only pick certain people they want to enforce it on. I do believe that you must always take the consequences of your actions but this just seems like another situation where they want to make an example of someone so they can feel good that they are making the NFL a better place. Exactly what I was thinking. Without pictures/video in the hands of the public it isn’t news and if it isn’t news it never happened, as far as the NFL is concerned. Domestic violence/assualt and other criminal behavior in today’s society, increasingly, has accompanying video. It’s becoming, “if you don’t have video, then I’m not guilty.” Testimony is an opinion now. The point though, is what has a perpetrator done to rehab/repent since the crime. Is there remorse? Has the person assisted in assuring the victim that he/she is not the problem? Have actions been taken to address the root cause of the violence “trigger?” While the results are subjective, the NFL, is making a mistake with a pompous and arrogant policy in an attempt to appear supportive to women. I won’t argue whether or not he should be invited to the combine, but I do not see an inconsistency. Can you give one case in the last few years where there was a player accused, with credible evidence whether video or otherwise, of abusing a woman yet being invited to the combine? Beating a woman is a very serious thing. The NFL has gotten a lot of negative publicity due to domestic abuse by players. Whether right or not, once again I won’t argue, this seems to be consistent with the message the NFL has tried to send the last few years. Keep in mind that Chad Kelly was invited and then disinvited from the combine due to a drunk and disorderly incident at a bar that occurred before he came to Ole Miss and was based on testimony by a bouncer. Some of the bouncer’s testimony was later discredited and there was no accusation of hitting a woman. The NFL knew about the incident before they invited him to the combine, yet they invited him and then changed their mind. Laremy Tunsil was invited to the combine, but slipped down draft boards and lost a lot of money because of an old video of him smoking a bong prior to going to Ole Miss. Fair or not, past mistakes do come back to haunt. How about Josh Brown who openly admitted to beating his wife while in the NFL but never received punishment. It was under wraps until he retired and uncovered the whole story. What does that have to do with a combine invite?